Smoke drifting down from Canadian wildfires made for hazy skies over West Tennessee last night. This picture was taken about an hour before sunset. Beautiful photo. I did not know that the smoke from the fires would travel so far away. I didn’t either. I think Tennessee is as far south as the smoke came before moving eastward. 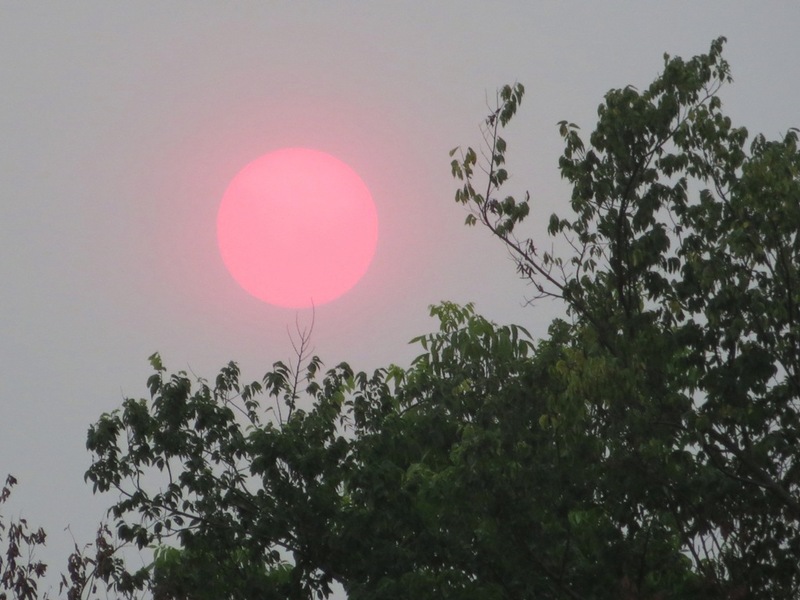 I always love the shades of the sun when a forest fire is around. Pink is the best shade. Wish I had that shade up here! Nicely done! It was beautiful, but eerie. It looked more like the moon than the sun.